Number two (of the five) nail lacquers from Dior's Skyline collection, Obscure 818 is a cooler-leaning, neutral, deep bark brown. 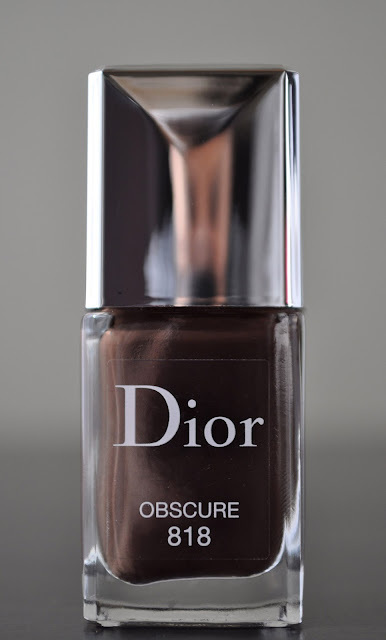 Obscure's creme finish isn't as glossy as all my other Dior cremes, and thirsts for a top coat. Yet, once all the fixings have been applied, the polish is beautiful. The lack of luster isn't the only snag with this vernis. Even after two coats, I still had some unevenness; which was corrected after the third application. Also, I only got TWO full days of wear when the polish began to chip to the high heavens. I love this color, and how pretty it looks with a top coat, but the application and wear time, is a little disappointing. Guess I'll make an allowance for these faults, and wear it on days when I know I'm going to change my nail color often. 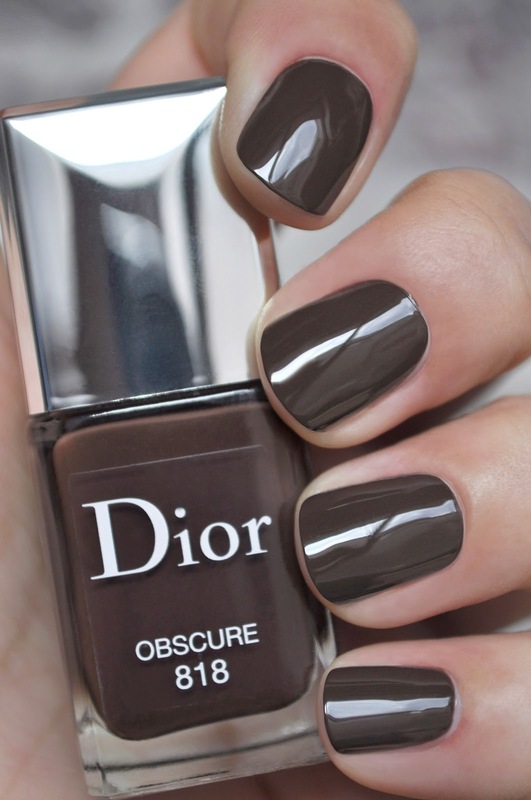 What dark brown polishes do you have in your collection? Brown polishes are my favorite! Gorgeous color, too bad it's temperamental. I don't have one that dark or cool toned. heart <3 Even through it's a little fussy, it's still worth owning.